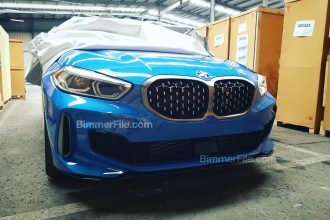 BimmerToday.de managed to capture a late evaluation prototype of the F55 MINI four door outside of the Munich airport over the weekend. 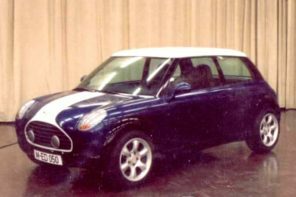 The F55 (as it’s internally code-named) is the spiritual successor to the current R55 Clubman in size and market positioning. 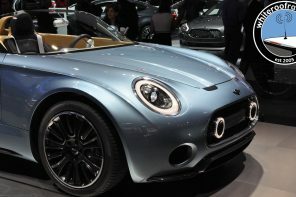 According to sources the F54 four door will debut in Geneva lightly disguised as a concept with an imminent internet debut. 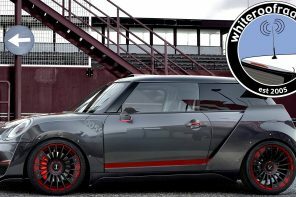 What’s the F55 four door and why should you care? 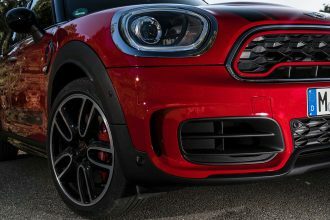 Using the F56 as its basis, MINI has shortened the front doors and added two small, conventionally opening doors behind them. 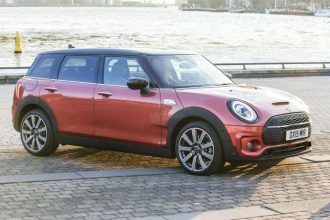 Similar to the Countryman’s layout but in a smaller package, the F55 will finally offer the flexibility consumers have been asking for from MINI in a smaller non-crossover package. Inside we’ve been told to expect rear legroom to increase about 5 cm as compared to the next generation hardtop (which in turn is slightly be roughly the same as the current generation). Unlike the F56, the F55 will offer a three person bench seat (like the Countryman and Clubman in some markets) likely as standard in most markets. It’s unclear if the US will get this option due to rear seat size requirements (insert fat American joke here). 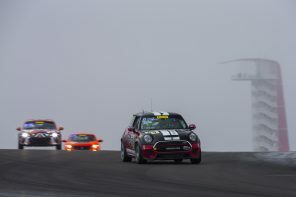 As you can see in the photo above, the front of the car will be identical to the new F56. 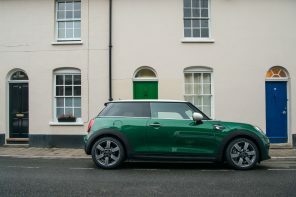 However the rear will be slightly raked as the extra 5 cm of legroom will push the boot out slightly. 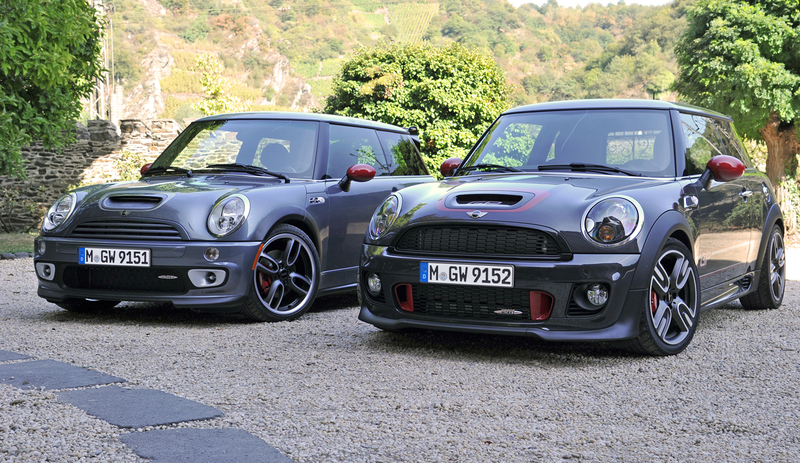 In total the F55 will likely be at least 5 cm longer than the F56 hatch. 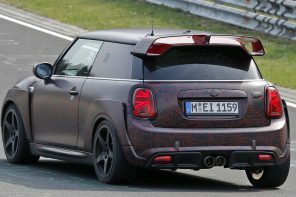 On the roof the R55 will feature a more subtle version of the Clubman’s “dune-line” roof profile to further distinguish it from the F56. 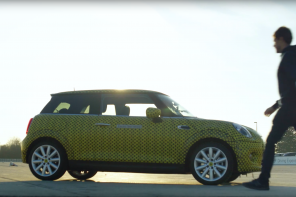 MINI expects big things from this little four door. 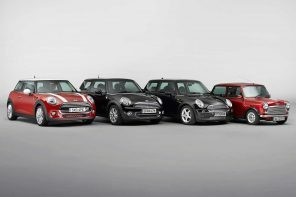 Since the beginning of the re-introruction of the MINI brand, potential owners have been asking for a larger MINI. 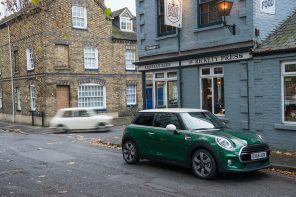 It may seem a bit ironic to some, but the iconic MINI hatch has had a high barrier of entry for many potential owners due to a lack of interior space and flexibility. 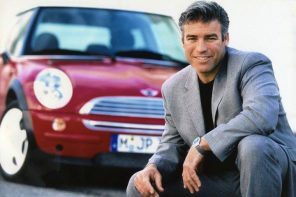 Have you ever tried to get a child seat in the back of the hatch or perhaps a dog in and out? 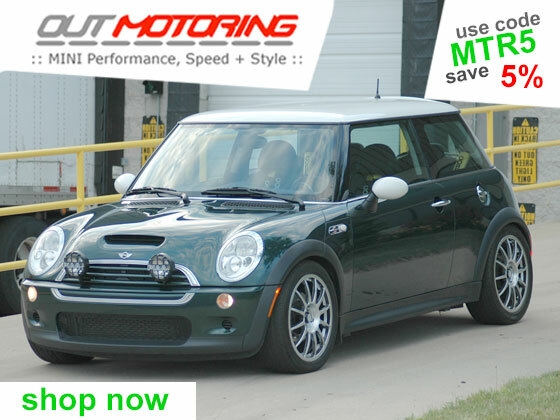 Then you’ll know why the four-door F55 may go along way in helping many overcome their fears of impracticality. 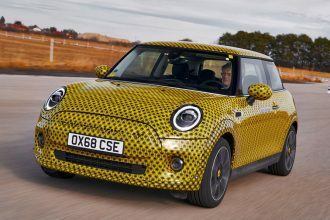 And as much as the Countryman has solved this for some, there are many that simply don’t like the idea of a MINI crossover and instead wanted something a little closer to the spirit of the original concept. 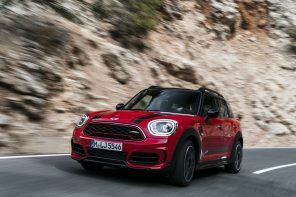 Or thought of another way, it’ll bring some of the Countryman’s gains in practicality, but with fewer of its SUV-bred performance compromises. 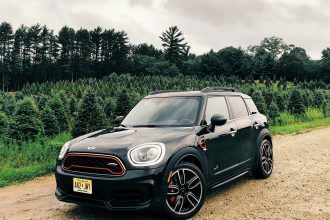 Imagine being able to more easily haul passengers, kids or pets, but retaining all of the smaller MINI’s handling and lightweight efficiency. 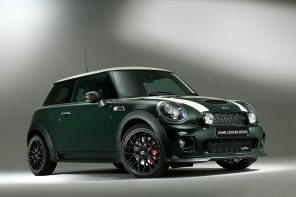 That’s why we’re excited for this F55 and why MINI is quietly very optimistic in regards to potential sales. 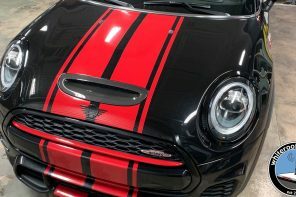 The F55 is scheduled to hit dealers early this fall as a 2015 model carrying over all engines, transmissions and options from the F56 hatch. 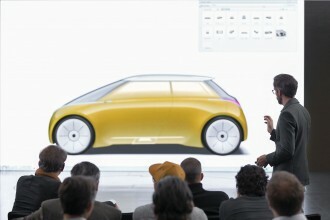 While it’s just an estimate, we’d expect pricing to be around 10-12% higher. 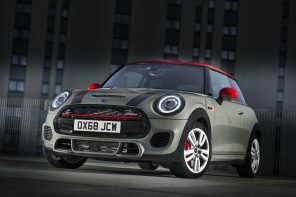 For those who need something even larger, the F54 MINI Clubman will debut in 2015 hitting dealerships in the latter half of the year. 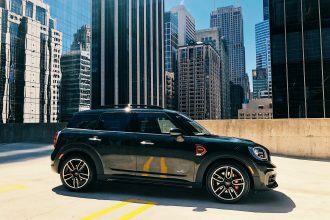 Where the F55 is all about being as small as possible with four doors, the F54 Clubman stretches things out with an eye on increased utility. 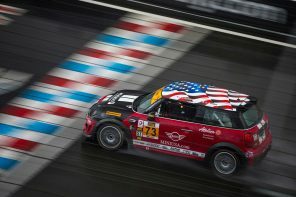 As you can see above 2015 Clubman will be lengthened and widened to Countryman proportions. This will allow for 2+3 style seating with easy access via two forward hinged rear doors. 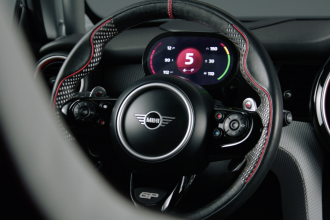 Exterior and interior details will be very similar to the soon to be released F56 albeit tweaked and stretch. 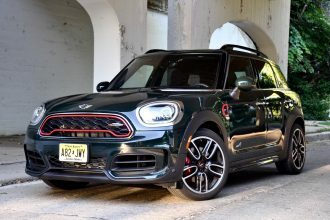 The Clubman will keep it’s iconic club doors in the rear but will lose it’s single “coach door” on the right in favor of two traditionally opening doors. 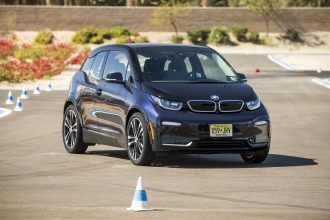 This was done both due to customer feedback (especially in right-hand drive markets) and also safety concerns. 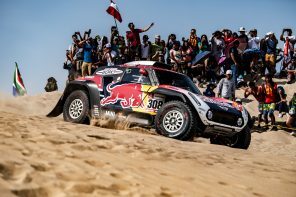 In side impact crashes having a B-pilar is good thing. 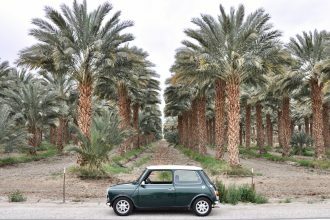 Inside the rear legroom grows to Countryman levels while increased width will allow for three across seating as standard. 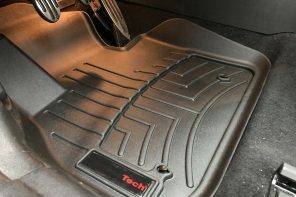 The size of the boot is also increased dramatically in length, width and under the floor. 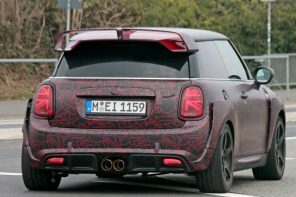 One note about the rear club doors, MINI will be again hinging them on the corner of the car to allow for greater load angles. 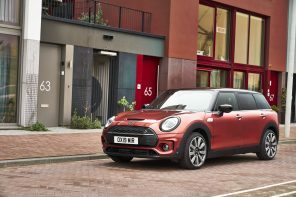 However unlike the current Clubman the lights will be integrated into the club doors and will be very similar to the Paceman’s in shape. 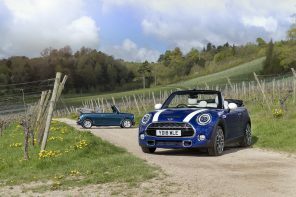 Based on the UKL platform, the F54 will carryover all drivetrains from the F56. 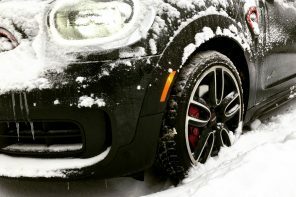 What about all wheel drive? 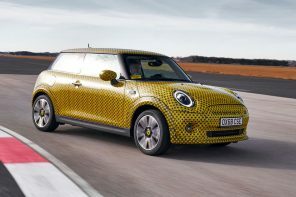 After our interview with Oliver Friedman head of MINI Product worldwide, we know we won’t see AWD on the F56. 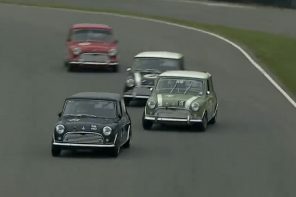 However MINI has something rather interesting planned for the F54 in that area. Stay tuned to MF this week for more.